The industrial storage tank industry has grown exponentially over the last few years and 2015 is set to be no exception. Here are some of the top trends that will affect the industry this year. Storing fuel is a major part of the storage tank industry. Cleaner, lighter and alternative fuels are now in greater demand than products such as crude oil, which previously ruled the storage tank industry. The shift towards more refined fuels has been in large part spurred by increasing government regulation of heavier fuels and more stringent environmental protection legislation. Consumer demand for lighter fuels has also increased and created more of a need for storage solutions. Now more than ever, there is a greater demand for storage tanks of varying capacities and sizes to fulfill these consumer preferences. The increased demand for cleaner fuels means that there are a greater variety of products in need of storage solutions. 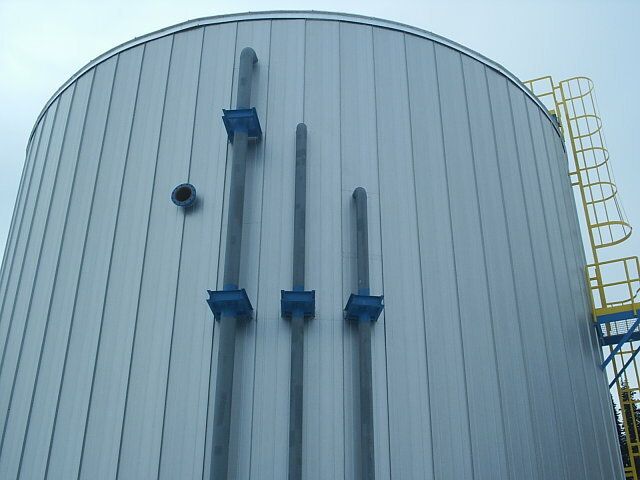 As a result, industrial storage tank owners are becoming more flexible with the products they store. Because the demand for commodities can change rapidly, storage tank owners cannot restrict themselves to specific products. In order to maximize their profits, owners must be able to utilize all of their assets by being flexible with what products they can store. Recent trends indicate that traders are more interested in investing in storage capacity, with particular attention being paid to independent tank owners. Storage capacity offers a more stable revenue stream than buying directly into more volatile commodity streams, which are typically more susceptible to market fluctuations. The heightened interest in investing in storage capacity can be attributed to the increasing flexibility that industrial storage tank owners are now utilizing to make their revenue more stable. Despite concerns about hydrocarbon production and consumption, the demand for fossil fuels is increasing. In turn, the demand for industrial storage solutions for these fuels is also on the rise. As a result, storage facilities are becoming larger and more numerous. The increased demand for storage capacity has been facilitated by several factors. There is an imbalance between global supply and demand for petroleum products. This means that there has been a subsequent increase in demand for storage solutions to help accommodate this disparity. Furthermore, increasing government regulation of international trade has slowed down the transportation of petroleum products across national borders and as a result, there is a greater need for storage tanks at international ports and crossings. Although there has been an industrial storage tank industry in Africa for several decades, it has seen explosive growth over the past few years. Increasing political stability in many nations, as well as the discovery of sizable hydrocarbon deposits, has meant that the supply of petroleum products to the international market has greatly increased. Booming populations across the continent have also increased demand for these products within Africa. In turn, there has been a heightened demand for storage solutions. For example, the east coast of Africa, which offers the most direct ocean-based trade routes to Europe and the Americas, saw a number of new storage facilities become operational in 2014. These trends show that 2015 will be a big year for industrial storage tank owners. With many indicators suggesting that the storage tank industry will continue to grow in 2015 and beyond, storage tank manufacturers, as well as those looking to invest in the industry, have much look forward to.